Shen Kua is also known as Shen Kuo or Shen Gua. His father was Shen Chou and his mother's family name was Hsu. Both seem to have been quite old when Shen Kua was born; his father being around 53 years old, and his mother about 44 or 45 years old. Shen Chou was a government official who moved around between various posts in the provinces before ending his career in the legal profession in the capital Kaifeng. Shen Kua's mother came from the Soochow region of China and played an extremely important role in her son's upbringing since all his early education came from his mother. When he was about nine years old, Shen Kua began to move around the country with his father as he went from one post to the next. The type of work that officials such as Shen Chou had to undertake was very varied, for he was involved in financial matters, in technical matters such as looking after the waterways and canals and overseeing major building projects, and he would have responsibilities for agriculture in the district to which he was posted. The young boy Shen Kua learnt much from observing his father at work, and having an extremely sharp mind, he took full advantage of the opportunities presented to him. Another local administrator who Shen Chou came to know and to admire was Wang Anshi. He was 10 years older than Shen Chou's son Shen Kua and soon Shen Kua also came to admire Wang Anshi's administrative skills, and also his idealism. When Shen Kua's father died in 1051, Wang Anshi composed his epitaph. As the son of an official, Shen Kua himself could become an official after the death of his father without taking the formal examinations which others were required to sit. He was appointed to his first minor official post in 1054 and this was followed by a number of other postings. The emperor at the time of Shen Kua's birth was Jen-tsung. However problems were developing in the ranks of his administration. There were administrators from the north who were mostly highly conservative, following their fathers into the civil service, and followed traditional methods. There were also new bureaucrats from the south entering the administration after passing the civil service examinations. Wang Anshi was one of this new breed of administrator, who progressed through ability rather than through patronage, and followed Confucian ideals. A number of crises, some internal rebellions, some attacks from invaders crossing borders, and falling prosperity, all meant that reforms which the new bureaucrats wanted began to be implemented. However, the traditionalists in the administration did not give up easily and when success followed reforms, the administration fell back into its old ways. By the time that Shen Kua started to progress through the ranks of the administration, reformers had returned now having learnt political skills. The reformers made some progress but fundamental problems remained with an increasingly costly bureaucracy yet declining tax revenues. Shen, however, was making a name for himself as an extraordinarily able man. He was involved in a number of schemes to control water, always a major problem in China at this time, which turned out to be very successful. Building drains and embankments, he reclaimed large areas of land which then became productive farmland. While subprefect of Ning-kuo in Anhwei province in 1061, Shen undertook a cartographic survey and then undertook another major land reclamation programme. Again it was very successful and after Shen passed national examinations in 1063 and moved to Yang-chou, the governor realised that here was someone of outstanding ability and recommended him for an appointment at court in the capital Kaifeng in Honan province. Wang Anshi had entered the central government in 1060 but he was not particularly favoured while Jen-tsung was emperor. However Jen-tsung died in 1064 and Ying-tsung reigned briefly until 1068 when Shen-tsung took over. 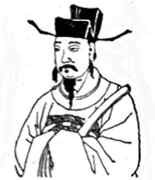 Under Shen-tsung reforms gathered pace and in 1069 Wang Anshi was appointed second privy councillor. He now launched a major reform program known as the "New Policies" and Shen was identified as one of eighteen members of Wang's strong reforming group within the court. While Shen had worked as an official in the provinces he had undertaken a large number of highly successful projects but this had not fully occupied him and he had spent his spare time studying astronomy, calendar science, and the mathematics behind these. In 1072 Shen was made Director of the Astronomy Bureau. It was customary for a new calendar to be set up on the succession of a new emperor. After a change of ruler the new Chinese emperor would seek a new official calendar thus establishing a new rule with new celestial influences. This had not been done when Shen-tsung became emperor in 1068 and Shen Kua was now given the task. He made ambitious plans to reorganise the Astronomy Bureau and to collect the necessary astronomical data. He set up a programme which would measure the positions of the moon and planets, plotting exact coordinates three times a night for five years. However, many of the staff at the Astronomy Bureau were incompetent and Shen had to dismiss six who he found were falsifying data. The inefficiency of the staff made the calendar less accurate than it should have been but it came into use in 1075 and lasted about 20 years before being replaced. Shen now undertook a number of projects to support Wang's reform agenda. He supervised water control projects, military organisation, and travelled widely in the provinces advising local administrators. He created three dimensional maps of areas he visited made from wooden plates on which sawdust mixed with glue and melted wax were used. Wang's opponents in government saw Shen as someone travelling round the country obtaining support for Wang's reform programme and they began to conspire against him. However Shen was so successful in the tasks he was given that he continued to be asked to undertake pojects of major national importance. In 1075 he undertook the task of revising the defence strategy of the country, and he undertook very successful negotiations with the Khitan tribes in the north who were threatening to invade. Using his knowledge of history to refute the claims of the Khitan tribes to Chinese territory, he brought peace to the area which lasted for a number of years. Returning to the capital Kaifeng, Shen was appointed to the Imperial Academy and appointed Finance Commissioner in 1077. His writings on the theory of supply and demand, made while holding this office, are quite remarkable. He wrote on methods of forecasting prices, the currency supply, price controls, market intervention and other topics which were not studied again in this depth until modern times. Having reached a position of great power in the government, pushing through effective reforms with great success, he was accused of dishonest practice in the autumn of 1077. These charges were completely false, but brought by political opponents of Wang's reform programme. Shen was a brilliant man, but his skill was in accomplishing tasks and not in political manoeuvring. He had suddenly become exposed since the politically skilful Wang had become frustrated and had retired in the autumn of 1076. It was Wang's replacement who brought the false charges against Shen. Shen was sent to Shenxi province as Commissioner for Prefectural and Military Affairs. There, in 1081, he organised an advance against the Tanguts winning major victories and extending the control of the Sung dynasty over new regions. The emperor was delighted and Shen made proposals to him to fortify the region. However there were still those who were working against him and his plans were overturned. Instead plans for fortifications which he considered useless were acted on instead. An attack by the Tanguts saw the Sung troops defeated and sustain heavy losses. Although he had been in no way responsible for the defeat he was blamed by Wang's successor and was relieved of his command and banished. Thus although in later generations the maps may be lost, given my book the territorial divisions may be laid out according to the twenty-four directions, and the maps speedily reconstructed without the least discrepancy. Maps are of great military significance, as well as scientific interest, so his project found favour with the government. After six years of being subjected to what was close to house arrest, Shen was allowed to live in a place of his own choosing. He already had purchased a property when he had been a leading figure ten years earlier but he had never seen his property on the outskirts of Jiangsu (Zhenjiang). In 1086 he was allowed to visit it and found a place of great beauty which he had dreamt of for many years. He named it Dream Brook and in 1086 he received a pardon, a state pension, and permission to live where he chose. He spent the last seven years of his life in isolation at Dream Brook. Because I had only my writing brush and ink slab to converse with, I call it Brush Talks. It is a remarkable scientific document which contains his work on mathematics, music, astronomy, calendars, cartography, geology, optics and medicine. There is also a reference to a magnetic compass and its use in cartography. Let us look briefly at some of his achievements. First let us see what he achieved in mathematics. The first thing to note is that Shen took a much more abstract view of mathematics than the Chinese generally did. Most Chinese mathematics was motivated by practical problems, but Shen was happy to look at mathematical problems for their own sake. Let us look at three particular problems which he studied. He considered the problem of the go board which had 19 × 19 lines giving 361 intersections. On each intersection there was one of three possibilities: no counter, a white counter, or a black counter. Shen asked how any possibilities there were. It is an easy calculation for us, namely 3361. This, of course, is an exceedingly large number and Shen's problem was to express such a number within the Chinese number system. The answer is approximately 1.74 × 10172 and Shen writes this as wan wan wan ... wan. Here wan = 104 and he is writing a product of, presumably, 43 wan. We say presumably since copyists made errors in reproducing how many wan there were, possibly not understanding the significance of what Shen was doing. The second example that we shall give to illustrate Shen's mathematics is that of a pile of unit sized items. If the top of the pile is a rectangle a × b and the base of the pile is a rectangle c × d, and there are h layers of items in the pile then he showed that the number of items in the pile is ((2b + d)a + (2d + b)c + (c - a))h/6. Needham  sees this as a step towards a volume integral and, if this is stretching things a bit too far, one certainly can say that there is an abstraction here. Shen does not specify what the items are, but leaves the formula general, he takes them to be of unit volume and also neglects (deliberately) volumes left between the items. In his astronomical work Shen had to convert from coordinates given in equatorial form to those given in ecliptic form. This requires at least some understanding of spherical geometry and trigonometry. In fact Shen demonstrated a remarkable ability to view spatial arrangements and he gave an approximate formula for the length of a circular arc in terms of the cord subtending the arc. There is evidence in this work that he was coming close to trigonometry, effectively having the sine function for his use. Shen's work in astronomy is remarkable in many ways. He attempted to explain why the motion of the planets across the sky was as observed with periods of retrograde motion. Other Chinese astronomers had only looked at the positions of the planets without ever trying to explain what was observed. Unlike Greek astronomers who tried to explain all motions as circular, Shen proposed that planets moved in a willow leaf motion composed with circular motion round the earth. He is also said to have constructed a armillary sphere, a water clock, and a bronze gnomon, a pointer whose shadow gives the time of mid-day. In addition to Brush talks from Dream Brook Shen wrote Supplement to Brush Talks and Sequel to Brush Talks. He also wrote a medical work Good prescriptions and Record of longings forgotten which was observations on living in the mountains but it has not survived. His treatise on calendar reform is also lost as is about half of a posthumous compilation of his unpublished writings. Breadth of interest alone does not account for Shen's importance for the study of the Chinese scientific intellect. Another aspect is his profound technical curiosity. ... Above all, one is aware in Shen, as in other great scientific figures, of a special directness. A member of a society in which the weight of the past always lay heavily on work of the mind, he nevertheless often cut past deeply ingrained structures and assumptions.